Eoin Morgan will be fit despite his broken finger to lead England in their forthcoming one-day internationals against Scotland and Australia. England pick Eoin Morgan as captain for one-day internationals against Australia and Scotland in June despite nursing broken fingerEoin Morgan will captain England for their ODIs against Scotland and Australia He has been ruled out of the Rest of the World XI’s T20 against West IndiesMorgan fractured his finger and was sidelined for seven to 10 days on TuesdayEngland face Scotland on June 10 and Australia at The Oval on June 13 ByPress Association Sport Staff Published: 07:45 EDT, 30 May 2018 | Updated: 07:46 EDT, 30 May 2018Eoin Morgan will be fit despite his broken finger to lead England in their forthcoming one-day internationals against Scotland and Australia. Morgan, who was due to captain a World XI against West Indies this week but had to pull out of that Hurricane Relief Twenty20 at Lord’s, will as expected take charge of England on June 10 against Scotland and then in five Royal London Series matches against Australia. The Irishman was named on Wednesday morning in a 13-man squad to travel to Edinburgh – from which Jos Buttler will be rested – and then one of 14 against Australia in a series starting at The Oval on June 13. 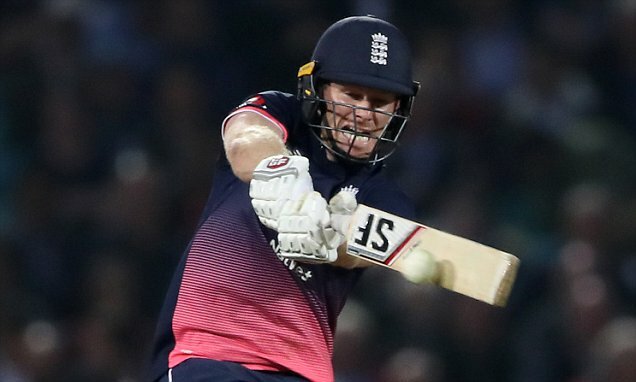 Eoin Morgan will captain England for their ODIs against Scotland and Australia in JuneSam Billings will be included against Scotland to deputise for wicketkeeper Buttler, and seamer Tom Curran will bolster the squad by one when he is added to the ranks to face Australia.